our soul has been rescued like a bird from the hunter's snare.. The Child, the Lord Jesus Christ… Word in our flesh, Wisdom in infancy, Power in weakness, and in true Man, the Lord of Majesty. from now on all generations shall call me blessed.. luke 1:48,49.. 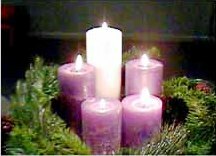 The Meaning of Advent & the origin of advent wreath with its four candles !!!! Advent the season of waiting for christ we wait in joyful expectation & preparation.We remember christ's firs coming & wait for his coming at the end of time.The liturgy of advent urges us to pray and to be spritually ready. The Advent Wreath : The origins of the Advent wreath are found in folks practices of pre christian germanic peoples who during the cold december darkness of Eastern europe gathered wreaths of evergreen and lighted fires as signs of hope in a coming spring and renewed light.Christians keep this popular tradition alive and by 16th century catholics & protestants throughout germany used these symbols to celebrate their hope in the coming of christ the everlasting light.From germany the use of advent wreath spread to other parts of christian world the wreath is made of four candles in a circle of evergreens. The four candles represent the four weeks of advent three candles are purple and symbolise prayer , penance and preparatory sacrifices and good works undertaken at this time. SO friends start making your own chritmas wreath !!!!!!!!!!!!!!!!! praise the lord , o my soul. To celebrate the Birth of our lord Jesus. never to forget to thank for all the grace received thought the year 2010.
for turning us away from sin. Alas god was so patient in Bearing all those, yet he helped us in times of our trouble. But are we not going to start the new year with a clean soul??? 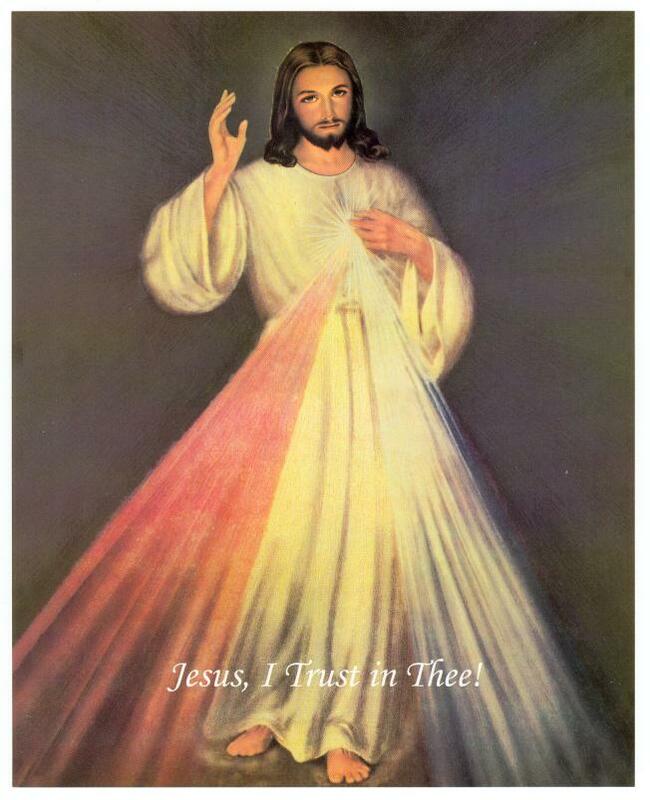 Let us make a good confession, break our heart, to take out all the filth in our heart. Make a clean place for Christ to enter your heart. He is full of mercy, He will never reject you, His love for you is more than anyone has kept on you, He is ever Eager to adobe in you. This Christmas must be a special one, for we are always a debtor for all the gifts and graces we received from Christ. Let us take the help of Christ to enter the New Year 2011, to face all the challenges ahead. Prayer is nothing else but union with God. In this intimate union, God and the soul are fused together like two bits of wax that no one can ever pull apart. This union of God with a tiny creature is a lovely thing. It is a happiness beyond understanding. A little drop of simple obedience is worth a million times more than a whole vase of the choicest contemplation. You people of Vitebsk want to put me to death. You make ambushes for me everywhere, in the streets, on the bridges, on the highways, and in the marketplace. I am here among you as a shepherd, and you ought to know that I would be happy to give my life for you. I am ready to die for the holy union, for the supremacy of Saint Peter, and of his successor the Supreme Pontiff. I find a heaven in the midst of saucepans and brooms. Read some chapter of a devout book....It is very easy and most necessary, for just as you speak to God when at prayer, God speaks to you when you read. We should go to prayer with deep humility and an awareness of our nothingness. We must invoke the help of the Holy Spirit and that of our good angel, and then remain still in God's presence, full of faith that he is more in us than we are in ourselves. 10 The LORD will reign for ever, thy God, O Zion, to all generations. Praise the LORD! 3 and said to him, "Are you he who is to come, or shall we look for another?" 5 the blind receive their sight and the lame walk, lepers are cleansed and the deaf hear, and the dead are raised up, and the poor have good news preached to them. 6 And blessed is he who takes no offense at me." 7 As they went away, Jesus began to speak to the crowds concerning John: "What did you go out into the wilderness to behold? A reed shaken by the wind? 8 Why then did you go out? To see a man clothed in soft raiment? Behold, those who wear soft raiment are in kings' houses. 9 Why then did you go out? To see a prophet? Yes, I tell you, and more than a prophet. Him we adore who hung upon the cross. Him we confess to be God, and the Son of God begotten, not made, co-essential with the Father, by whose deity we believe this whole world is created, preserved, and governed. A man who has embraced poverty offers up prayer that is pure, while a man who loves possessions prays to material images. to all who call on him in truth.. psalms;145:17,18.. He who would climb to a lofty height must go by steps, not leaps. The greatest honor God can do a soul is not to give it much, but to ask much of it. As we approach the coming of the lord, how are we preparing our lives??? Are we Running behind things which never work? or are we trying hard to make things better in your Family or your life? be it a work assigned at the office, or at ur home. But often we land up, losing the grace of Christ, we fight so hard to win the race. we forget we fight with our mere strength and wisdom. Let take time to understand all the efforts we had put to Fix things which turned worthless. The Bible Tells: When Peter denied christ Thrice, Joh 21:3 tells he went back to his old profession, Fishing, He fished whole night but caught nothing. Joh 21:6 - "And he said unto them, Cast the net on the right side of the ship, and ye shall find. They cast therefore, and now they were not able to draw it for the multitude of fishes. " for busying ourselves in solving things, instead on running to christ for his help. that we may not run behind the world, but to be true to you for Life everlating ... Amen. We need Catholics who are alert to the present moment…modern Catholics who know how to nourish themselves in the past but whose eyes are fixed on the future. Since he is the Sun of Justice, he fittingly calls his disciples the light of the world. The reason for this is that through them, as through shining rays, he has poured out the light of the knowledge of himself upon the entire world. For by manifesting the light of truth, they have dispelled the darkness of error from the hearts of men. many will say to me on that day ,'lord , lord , did we not prophesy in your name drive out demons and perform many miracles ? then i tell them plainly , ' i never knew you away from me you evil doers.